School’s back and with it, the daily tedium of packing lunches. Even those without kids have to deal with this tedious task if the goal is to eat healthfully. Here’s an article I wrote for Boulder Weekly‘s CU Student Guide, for dorm students who want a homemade, healthy option on occasion. I realized this advice could be equally helpful for busy parents and others seeking fast but healthy lunch options. 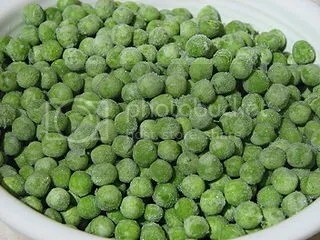 No fuss, no mess–frozen veggies are a boon to busy cooks, especially with nutritional values that are nearly, if not completely equal to fresh. Looking for quick lunches that are wholesome, too? The frozen foods aisle has a good selection of real, whole foods all washed, cut and ready to pop in the microwave. Combine with a few strategic deli purchases and ready made sauces for a meal that’s faster than fast food but still tasty, fresh and healthful. What’s more, it’s easy enough for older kids to make on their own. Step 1 Microwave peas in a big covered glass dish, as directed on the package. Step 2 Microwave rice a second big, covered glass dish, as directed on the package. Step 3 Combine the cooked peas with cooked rice. Stir in chicken and sauce to taste. Microwave 1-2 minutes, stir and taste. If not hot enough, microwave another 1-2 minutes. Eat and enjoy! Sauces: Teriyaki, Szechuan, Sweet and Sour, Hoisin and Sesame Ginger are just a few options. Or go Italian with Marinara or pesto. Just read the ingredient listing and stick to sauces made with real, whole ingredients you can pronounce! Protein: Scour the deli and salad bar for options like baked tofu, roasted turkey pork roast, and garbanzo beans. Also, be sure to use brown rather than white rice–it has a lot more flavor and the natural nutrients haven’t been stripped away. Whole Foods sells it, or just freeze your own with extra leftover rice, so it’s all ready when you need it in a hurry. Thanks for reminding me about frozen veggies–something I try to use in the winter months when the fresh ones come from around the world and don’t really taste that great. Sometimes, the focus on “fresh fruits and vegetables” makes us forget about the frozen (and a few selective) canned options that work better in a climate where there isn’t much green for several months of the year!